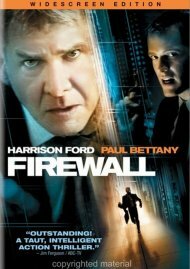 It was a war - and a series of military campaigns - like no other. 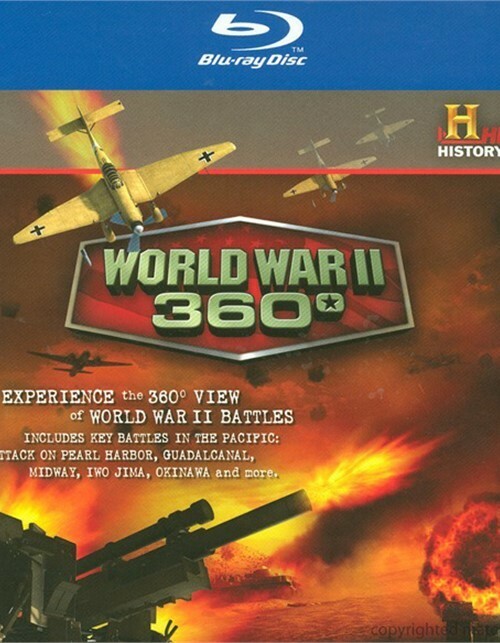 History puts viewers in the middle of the action with two revealing programs that use cutting-edge computer graphic animation and the latest technology to bring a 360-degree view of the Second World War. In Battle 360Â°, follow the only carrier to be front and center in every major sea conflict in the Pacific. The USS Enterprise and its men fought saw some of the fiercest multi-front battles ever witnessed in modern combat as they fought off the enemy from the air, the sea, and underwater. 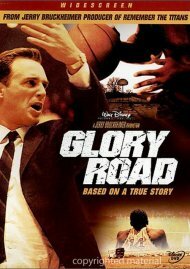 Then, travel with Gen. George S. Patton, Jr. as he leads his heroic soldiers in North Africa, in the invasion of Sicily, and in the charge across Europe to defeat Hitler's Third Reich. 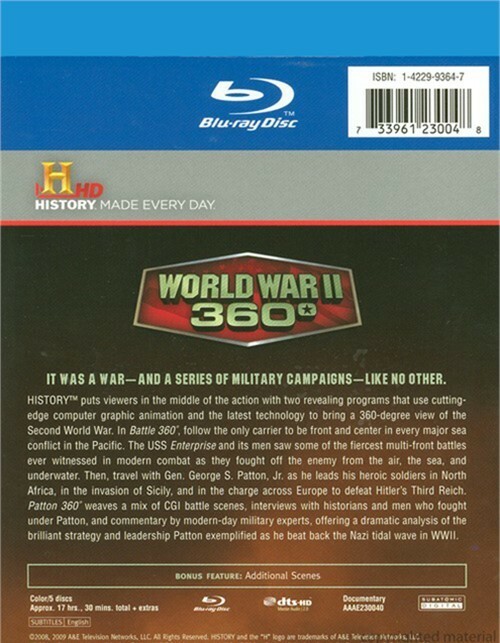 Patton 360Â° weaves a mix of CGI battle scenes, interviews with historians and men who fought under Patton, and commentary by modern-day military experts, offering a dramatic analysis of the brilliant strategy and leadership Patton exemplified as he beat back the Nazi tidal wave in WWII. Length 17 hrs. 30 mins. 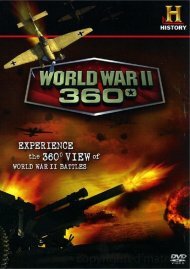 Review "World War II 360"
Reviews for "World War II 360"